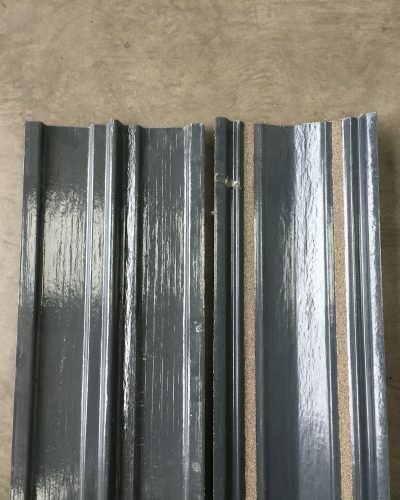 Just Roofing Ltd. is a family business, supplying roofing materials to the trade and D.I.Y. 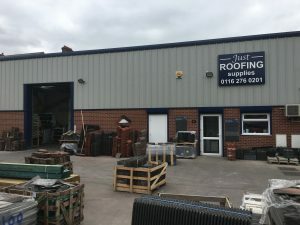 We offer superior quality roofing supplies as well as specialist advice that will give you the confidence to carry out any roofing project, whether it is for domestic or commercial use. 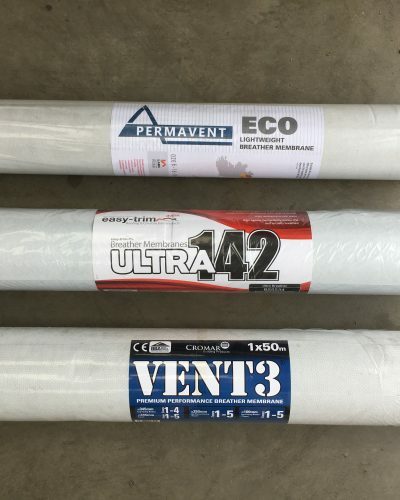 You’ll find our prices unbeatable and our quality second to none. 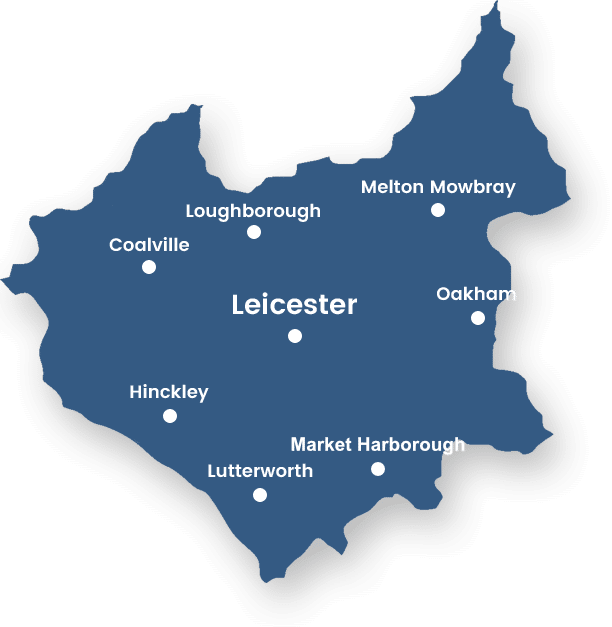 We are located in Leicester convenient to Melton Mowbray, Market Harborough and the surrounding areas. 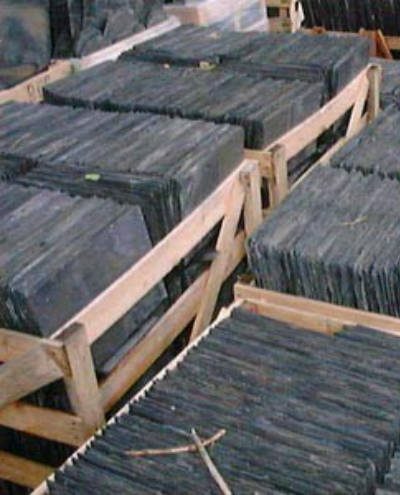 We have a vast range of roofing materials to choose from including slates, tiles, roofing felt, lead, batten, nails and flat roof materials. 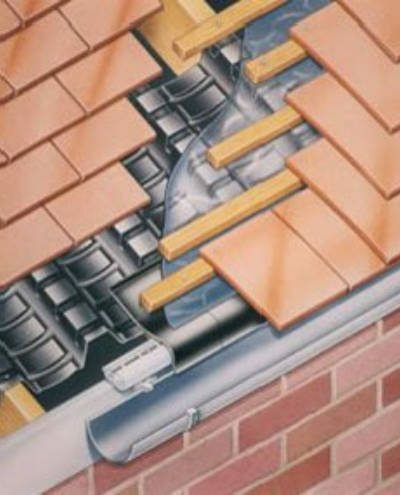 For a fast and reliable service come to Just Roofing. 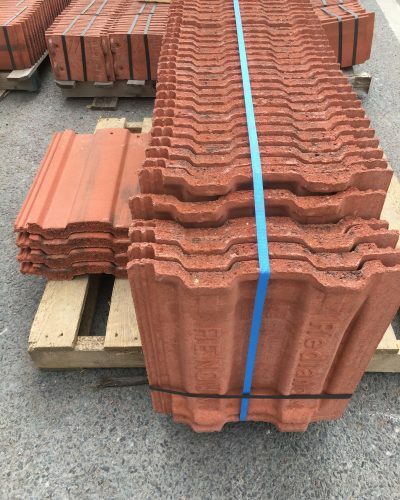 We supply roofing materials from a large range of high-quality manufacturers, including Permavent, BLM, Sandtoft, Manthorpe, Redland Tiles, Gidevale, Permanite, Crown Timber, Cromar, Forticrete and more. 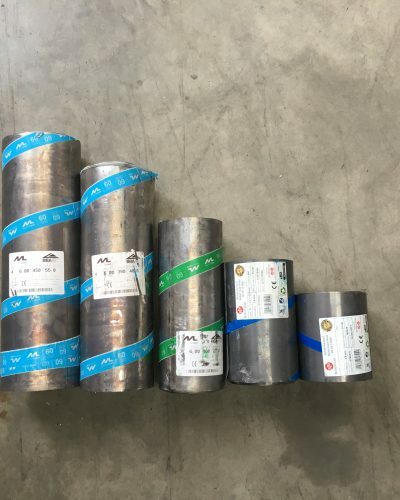 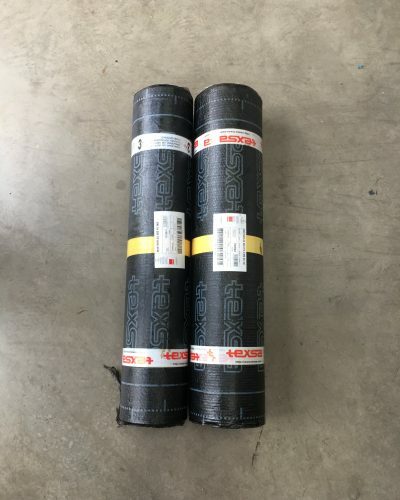 Come down to our yard to see the quality of our materials for yourself. 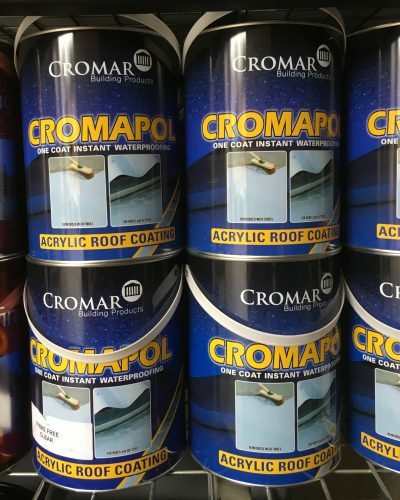 Need Roofing Supplies... We're a team of experts! 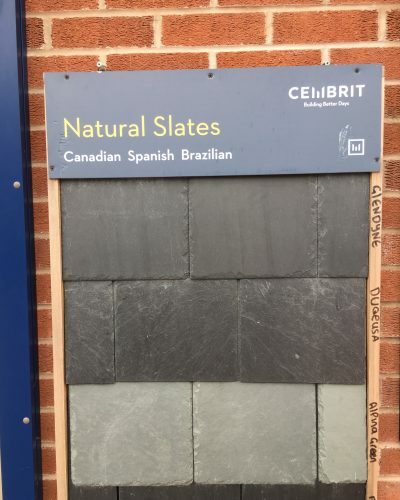 We are based conveniently in Leicester down the A47. 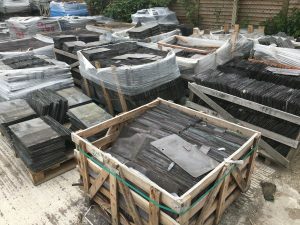 We also have a large range of reclaimed roofing supplies including reclaimed slates, reclaimed tiles and other reclaimed materials – all in excellent condition. 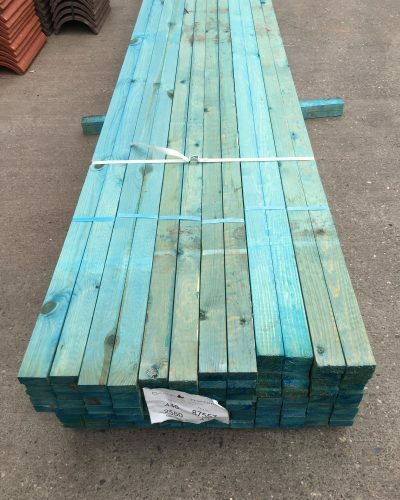 We supply our reclaimed roofing materials to customers in Leicester and all surrounding areas. 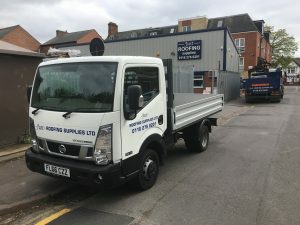 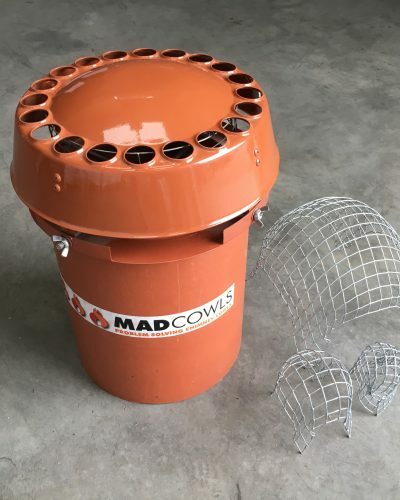 Just Roofing sells and delivers roofing supplies to most of the areas around Leicestershire, including Leicester itself, Loughborough, Oakham, Melton Mowbray and other surrounding towns. 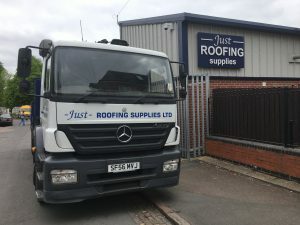 If you want to know if we can deliver to your address please give us a call or just drop in to our Leicester-based yard and speak to someone. 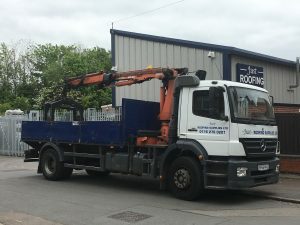 Using our fleet of vehicles, our expert team are able to deliver your roofing supplies directly to you.